Mirka DEOS, an electric orbital sander, integrates all the innovative features that have made the Mirka DEROS so popular, and more. Its high efficiency brushless motor exerts plenty of power so the sander completes jobs quickly. At only 4" high, the tool’s compact and very low profile makes it easy to maneuvere and helps deliver a precise and efficient sanding performance. 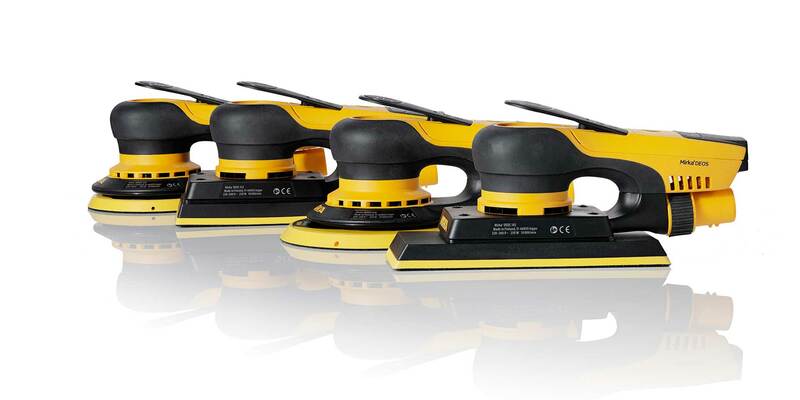 The Mirka DEOS electric orbital sander is compact and very light. 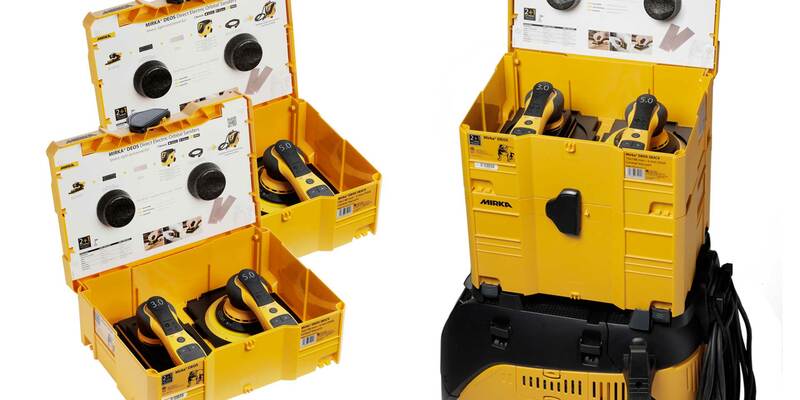 The machine is available in two dimensions: the Mirka DEOS 383CV, 2.75" x 7.75", is designed mainly for the ART sector and the Mirka DEOS 353CV, 3.2" x 5.2", is mainly targeted at the wood and CD sectors. To learn more about the Mirka DEOS and DEROS electric tools, and accessories download our Electric Tools Brochure!